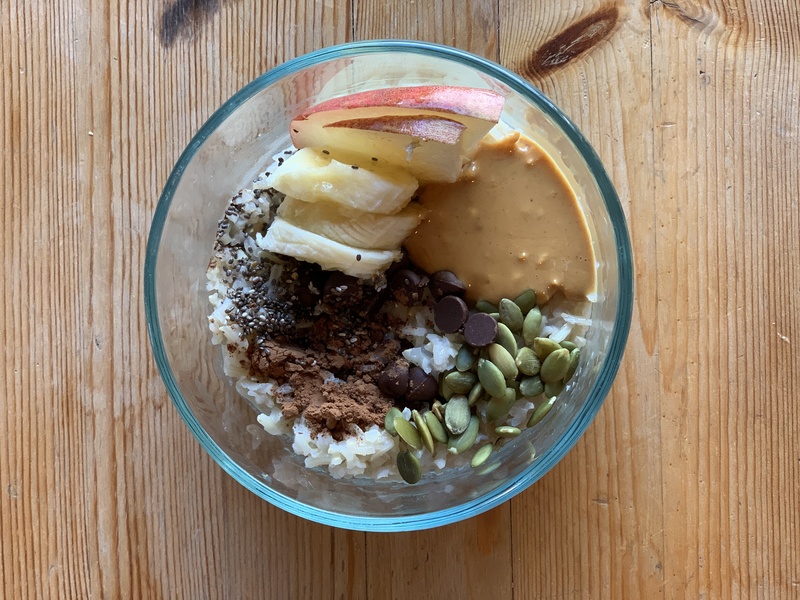 Breakfast in our house is all about simple, healthy, and portable; we lean towards smoothies or overnight oats because we can prepare them quickly, and easily consume them while racing out the door, or chasing after our very active little guy. 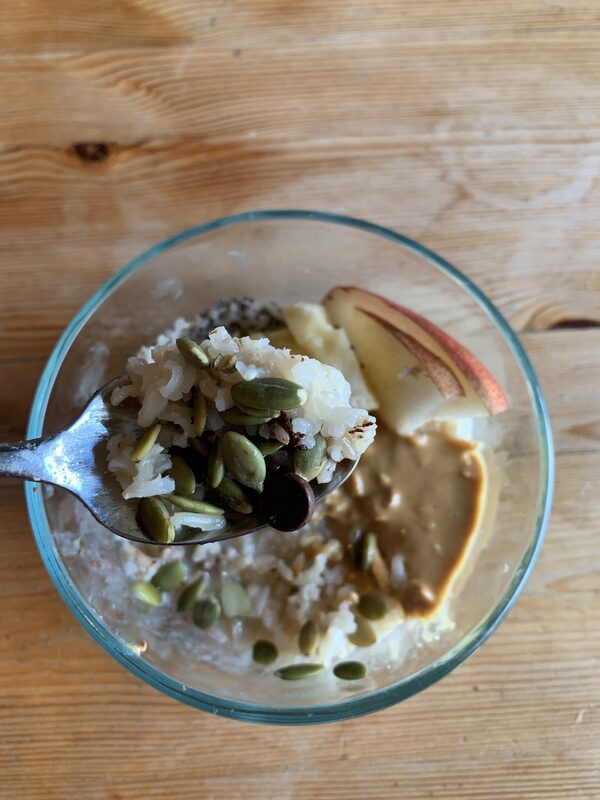 And while I love both smoothies and overnight oats, sometimes I crave something a little different – which is why I’ve recently fallen in love with Coconut Rice Porridge – it’s made with jasmine rice, coconut milk or cream, cinnamon, maple syrup, and whatever toppings you desire. The funny thing is, I first got the idea for coconut rice porridge while Googling ideas for baby friendly recipes. I came across multiple articles suggesting coconut rice as a simple, delicious, and easy baby friendly food and it got me thinking of all the other ways we could all enjoy coconut rice. 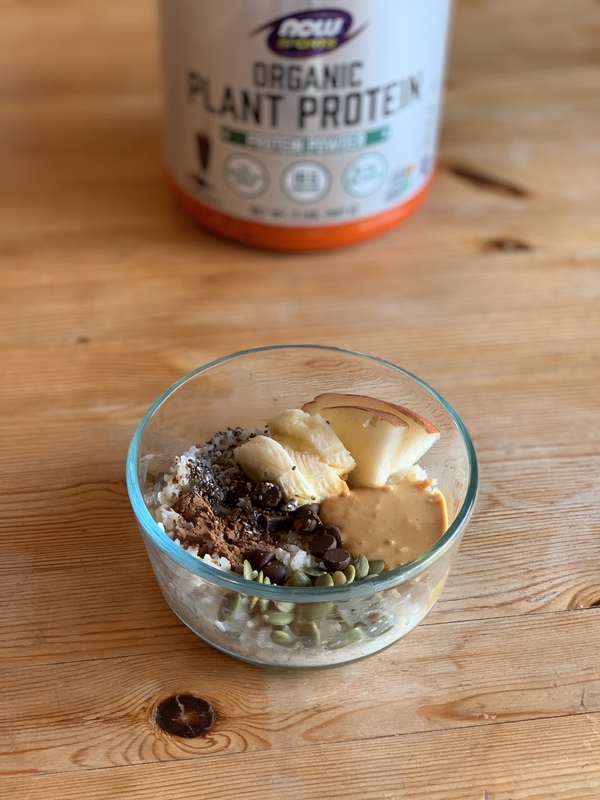 After a little experimenting, I came up with a protein packed coconut rice porridge that is not only healthy fuel for my entire active family, but something that can be made ahead of time and enjoyed all week long in a variety of ways (all you have to do is change up the toppings!). Rinse rise under cold water for several minutes until the water runs clear. Add rinsed rice, coconut milk, water, vanilla, cinnamon, and protein powder to a medium saucepan. Whisk together all ingredients until smooth and well combined. Over medium heat, bring the mixture to a low, rolling boil, making sure to stir frequently as to not burn the milk or rice. Once boiling, reduce to medium-low and allow ti simmer uncovered for 20-25 minutes. Stir frequently with a rubber spatula. In the last 5 minutes of cooking add the maple syrup. Stir together and add your favorite toppings. Have you ever had rice for breakfast? And what’s your favorite breakfast bowl topping? Want to win some great products from NOW Foods? 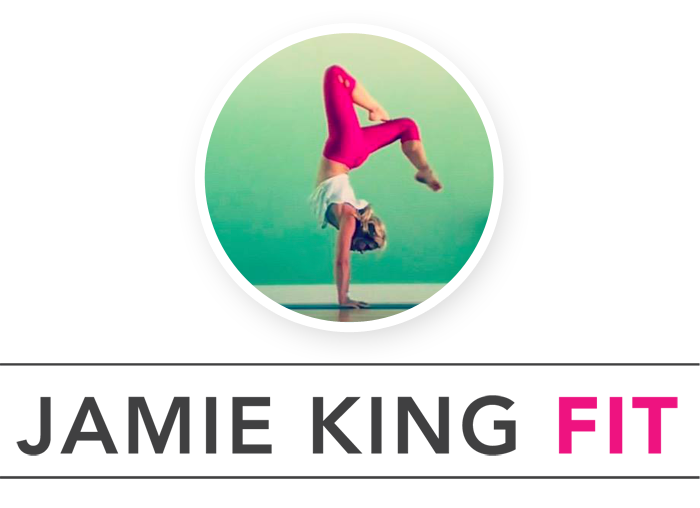 Join our Spring Into NOW Challenge April 1-10 – you can follow along on @FitApproach or join here! Disclaimer: This post was sponsored by NOW Foods via my partnership with Sweat Pink. That said, all thoughts, recipes, words, and opinions are my very own. I truly appreciate all of the brands that support the Fit Approach community.